65% Off + FREE Shipping - Kids' Aprons Under $7, Women's Aprons Under $10! You are here: Home / Great Deals / Christmas Deals / 65% Off + FREE Shipping – Kids’ Aprons Under $7, Women’s Aprons Under $10! 65% Off + FREE Shipping – Kids’ Aprons Under $7, Women’s Aprons Under $10! 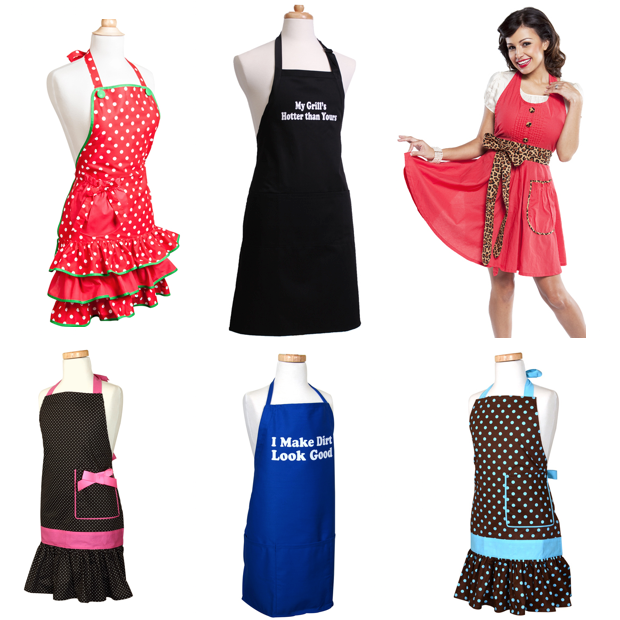 Head over to Flirty Aprons to save 65% Off all aprons (except Daily Deals) + get FREE Shipping! Order Kids’ Aprons Under $7 and Women’s Aprons Under $10! Just use promo code HOLIDAY65 at checkout to get your discount and FREE shipping! They have the cutest aprons on this site and this sale makes them a steal! Perfect fun gift for family and friends! Thanks, Click here to check out more Great Deals!